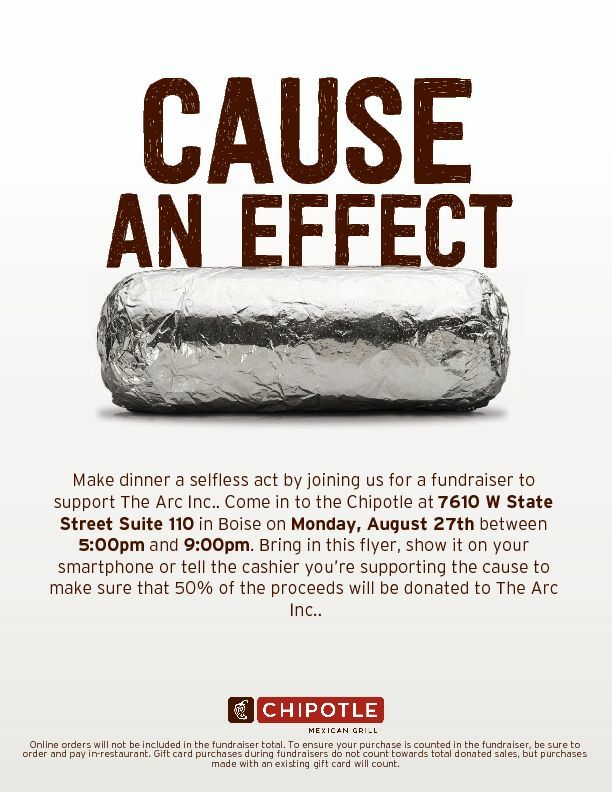 Buy Idaho, Inc - The ARC night at Chipotle! The ARC night at Chipotle! to support a great cause! Join us for dinner at Chipotle Mexican Grill!! On August 27th from 5:00PM-9:00PM stop by for some delicious eats and support The Arc at the same time. Chipotle will donate 50% of the proceeds from your purchase to The Arc. In order for your purchase to count towards our fundraiser, you must either a) verbally tell the cashier of your participation, b) show a physical fundraiser flyer, c) show a digital flyer on a smartphone or other mobile device. Proceeds from this event will specifically support our Recreation and Vacation Program (RAVE). 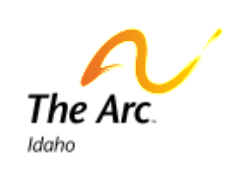 Your support makes a difference in the lives of Idahoans with I/DD! © 2015 Buy Idaho, Inc. All rights reserved.